NOTE: This was moved from another blog I tried, but I want to move all posts to one place! It was originally posted 24 November 2012. Sometimes, dreams really do come true. Unexpectedly, one of mine did a couple of months ago! sport where you actually get to play with swords. Repeated online searches over the years always had me cursing the bigger cities, where I did not want to live, as they had multiple fencing clubs, while my amazing coastal home town had none. I resigned myself to a life without swordplay and turning to my naval heritage, headed off for a relaxing swim in the ocean. Until, one wonderful day not so long ago, when my friends commented they had spent their morning at the launch of a local fencing club! I was ecstatic and immediately signed up. Almost three months later, I have developed an interesting collection of bruises, experienced sore muscles in places I did not even know muscles existed and had loads of fun. I know more French terms than a year's worth of High School French taught me and have met a new group of interesting people, who I often laugh with, regardless of who caused the latest bruise. I have learnt from my coaches as well as the more experienced members of the club and managed to place third in last months ranking. Last, but not least, my stress levels are way down. It is amazing how much stress can be released by attacking someone with a sword after a frustrating day! My appreciation for the sport has grown into a deep passion. but look how comfortable he is with my adorable Stars! (stomach muscles were sore from laughing as well as the numerous other muscles that suffered from the weekend) and he even likes reptiles!! We covered various different aspects of fencing, from warm up and footwork, to competition rules and equipment care (I found that super interesting, even though I did lose a screw - they would be easier to use under a microscope.) The whole weekend was such an incredible opportunity - to get a chance to learn from someone of that caliber. I was seriously inspired and encouraged, but there was still more amazing-ness to come in the weekend! 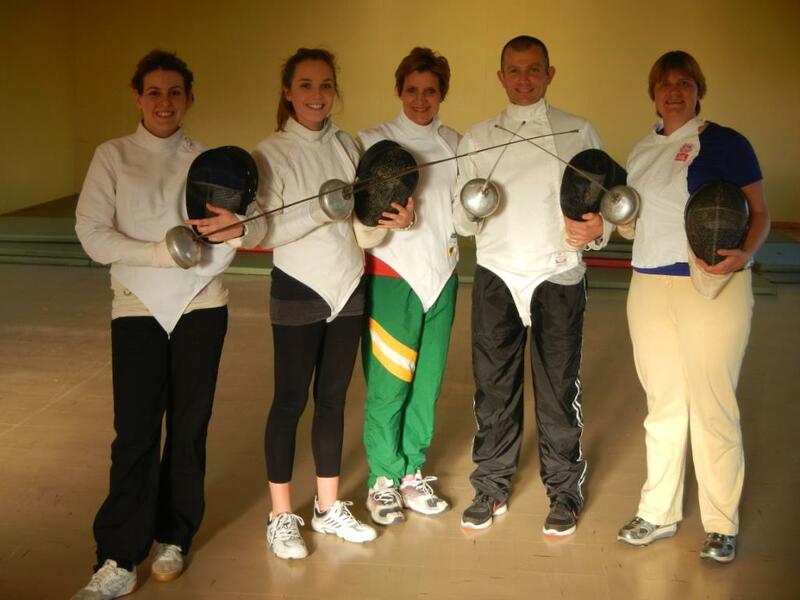 In our last session, before we enjoyed a meal together and got to spend some social time as a club, Ben kitted up and gave us a chance to see what it is like to fence against a master! When you have been fencing for a couple of months, you know that any points you get in this bout will be gifts, but it was still an honour and loads of fun, even if I did walk away with a new bruise for the collection, (thanks to that flick that I still don't know how to do!!) My only complaint about the weekend, is that it was too short. My muscles however, do not agree with that statement. So, November rocked from a Fencing point of view, but it also included another new element of my life which was great fun. 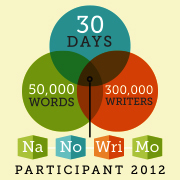 At some point during the year, I came across NaNoWriMo. The concept (write a 50 000 word novel during the month of November) really appealed to me as I have always wanted to see how I would do at writing and I signed up. All too quickly, November was here and with it came an unusual amount of work chaos (due to construction), preparation for a move to a new home on 1 December (which included hosting the parental squatters once their house was sold), an amazing fencing weekend, all the usual summer fun (beach walks with a labbie, ocean swims, reading outside in the sun, braais, etc, etc, etc) and only a vague idea of what my novel should be about. I decided to go for it anyway, but aimed to write something, not necessarily 50 000 words, as I wanted the enjoyment of the experience without any stress. This resulted in another new group of interesting people entering my life and a discovery that writing does not require as much imagination as I first assumed as the characters do what they want, regardless of the author. I had one who appeared even though his very presence made the concept of the novel impossible. Needless to say, he got killed off at some point along the way. I have taken part in a couple of challenges and won each one (the threat of pink will get me to do anything, as will the lure of dark chocolate). I still have some time left this month and am hoping to reach 25 000 words. For a newby who had a chaotic month, I think that is pretty good. Next year, I will put in some more preparation so I have a better concept of what will happen when (although probably not a file's worth of pages!) and unscheduled crises will be told to wait until December! 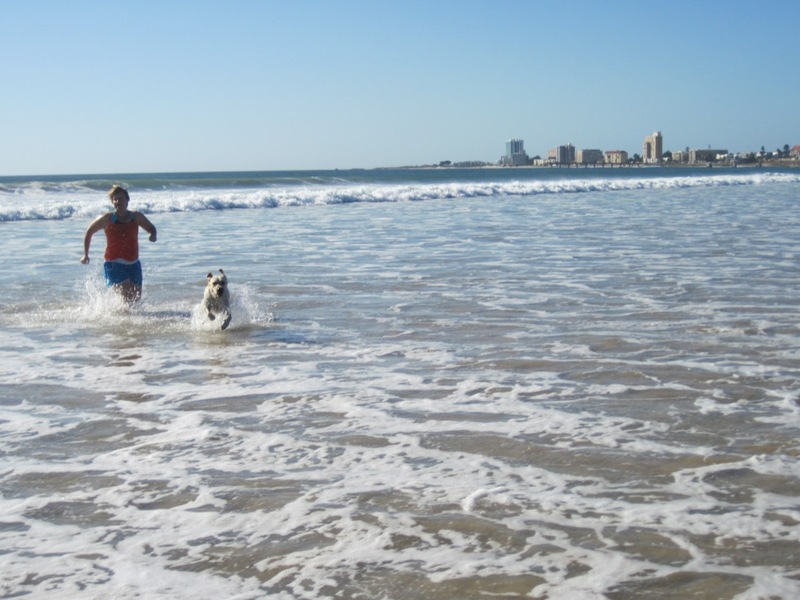 December looms, with sun and surf and sand, as each summer does here in the wonderful town I call home. My boys and I will move to a new home, where they will have their Grands on the property if I am away or busy, and I can stop paying off someone else's bond. Next year promises trips to Cape Town and Durban for fencing as well as Highland Games and friends. I know the year will also bring its own surprises, and I am excited to see what they are. This year I have been happy with my life, despite the politics of work, and it has just kept getting better. I know that this is mostly due to a state of mind and heart, long may it last!